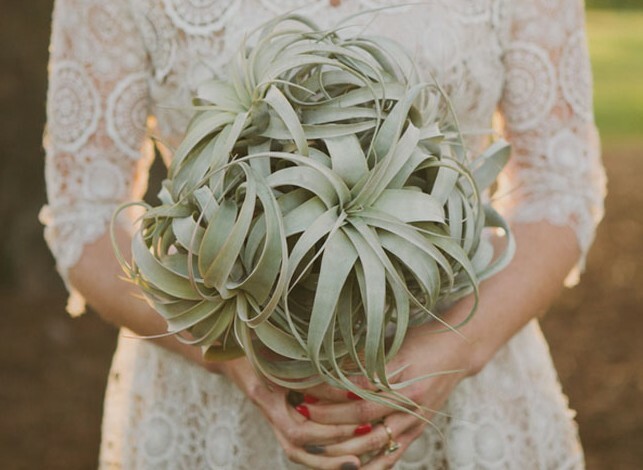 Use a nontraditional bouquet made from air plants during your wedding! See more photos from this wedding on the source. See this idea with flowers added to the bouquet.